ABBYY creates intelligent technologies that help businesses and knowledge workers achieve greater efficiency, accelerate decision-making, and drive revenue. 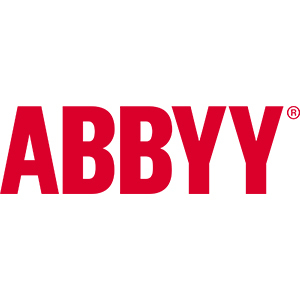 Ranging from scanning and document recognition to data capture and text analytics, ABBYY technologies integrate across the entire information lifecycle. Built on the Artificial Intelligence principles, ABBYY technologies leverage deep learning methods and multi-level analyses. They can process text, documents and data in the same way that the human brain would analyse them – yet faster, in continuous flow and in much greater volume, eliminating manual work and streamlining document-intensive processes. Inpute are authorised ABBYY partners and our team of professional services consultants are ABBYY certified.